Many successful footballers, when looking back at the early part of their careers, will probably tell you that a bit of good fortune helped them on the way to becoming a fully fledged professional. Perhaps they were in the right place at the right time to be noticed by a scout, avoided injuries that hampered their equally talented colleagues, or were handed their big break in the starting XI owing to a dearth of fit first team players. Few, though, will have a tale as serendipitous as that of young South African forward Tyroane Joe Sandows, or Ty for short. 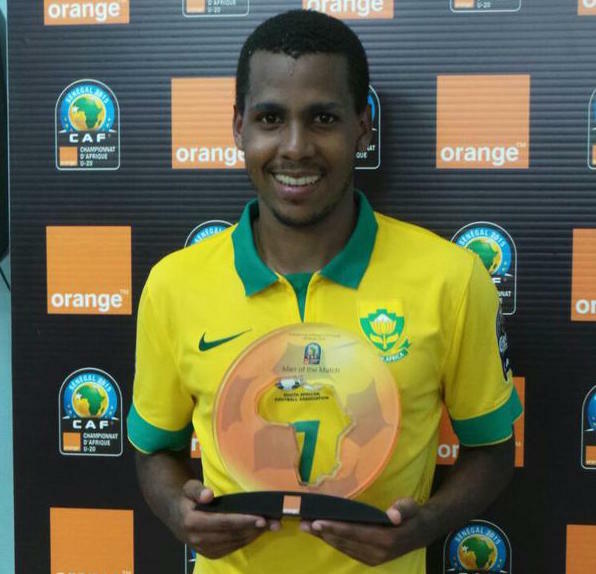 Born into a football-loving family in Johannesburg, it was inevitable that he would take up playing at some point. Everything that has followed since has been far from it. Like most youngsters he moved into the youth set-up of a local club before, at age 11, Lady Luck intervened. A charitable project designed to develop young South African players (with an eye on them being ready for the 2014 World Cup) had been initiated by Reckitt Benckiser, a British-based multinational company that manufactures a variety of recognisable household products. Those 12 boys were to spend a week during the 2006 World Cup living and training at the São Paulo FC facilities in Cotia, one of the finest training centres in the country, located just to the west of the sprawling state capital which is home to over 21 million people. Initially, Ty attended an international school in the city and lived with the English-speaking family of one of the school’s directors. Once he started to speak enough Portuguese, however, he moved to the club’s accommodation with the rest of the youngsters whose families hail from outside the state’s capital. He quickly settled and anyone who starts a conversation with him now would think they were talking to a born and bred Paulistano. The academy has a reputation for nurturing exceptional talent, and during his time in Cotia there were a number of older boys Ty could look up to. In 2014, however, São Paulo decided that his contract would not be renewed as part of a cost-cutting operation at the debt-ridden club – a decision criticised by some fans. After two weeks training with PSV Eindhoven, Ty was picked up by Grêmio, another Brazilian giant from the southern city of Porto Alegre, just a few hundred kilometres from the Uruguayan border. There he has encountered a different style of football. Teams from the South, he tells me, play more in the Platense tradition of fight and desire rather than the possession-based approach more common in the socio-economic and footballing nexus formed by Rio de Janeiro, São Paulo and Belo Horizonte. 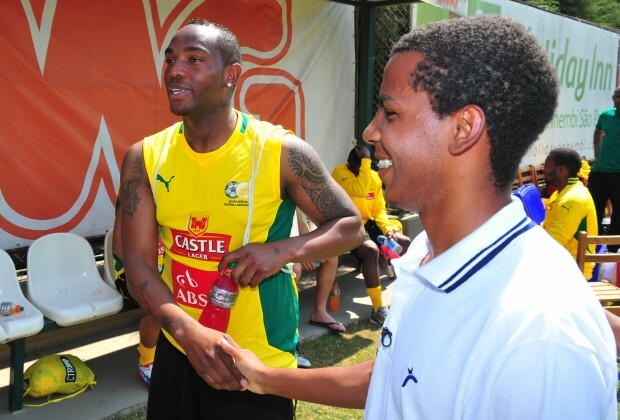 As another twist of fate would have it, South Africa’s opening game was against Brazil. Ty didn’t get on the pitch but still describes being in the squad that would take on the likes of Neymar as “something I’ll cherish for a long time”. Ironically it was an old friend from his formative years in Johannesburg, Keagan Dolly, now of Montpellier in France, who kept Ty out of the first team. It was clearly a positive on a personal note as well. When Ty returned to Grêmio after his sojourn in Rio the new manager Renato Gaúcho, a Grêmio legend capped 43 times by Brazil, sequestered him permanently for the first-team squad. 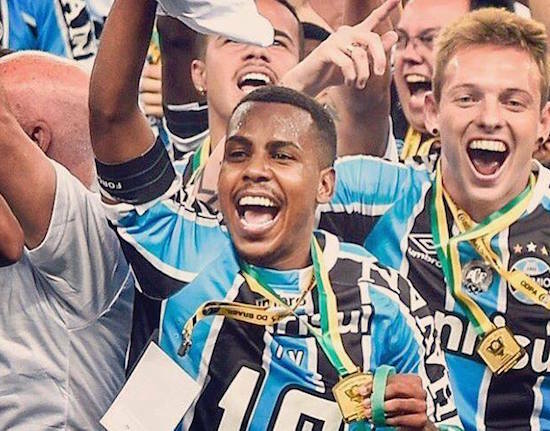 He has since made his debut, “something that will be in my mind forever”, got his first assist, and even earned a place in the match-day squad for both legs of Gremio’s Copa do Brasil final against Atlético Mineiro, which his teammates won 4-2. He describes the experience as “a bit strange,” as he had only been in the senior ranks for three months, but he hopes to “live more moments like that” in the blue, white and black striped shirt. In 2014 he obtained Brazilian citizenship to sidestep rules that limit Brazilian clubs to five foreign players, which has opened up the possibility of a call up to the Seleção in the future. 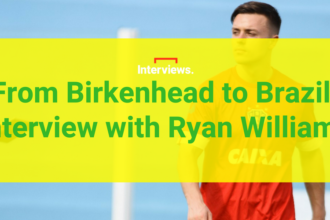 Read our interview with Michael Beale, the former Liverpool academy coach who left the Reds to become Sao Paulo assistant manager, here.